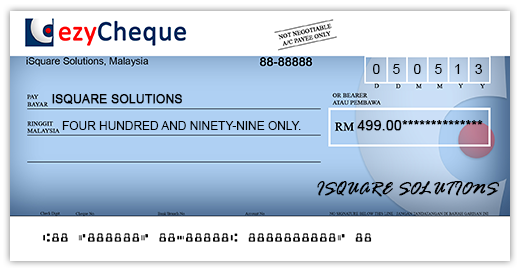 The cheque writing solution. 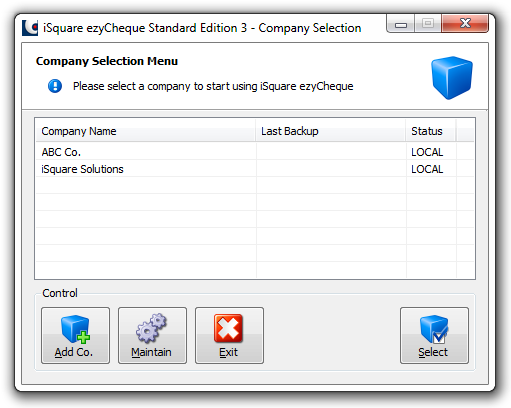 ezyCheque Standard Edition 3 enable accountants and business owners to manage payments efficiently with automated cheque printing, payment vouchers printing, bulk printing, and payments tracking. Issue cheques in seconds. 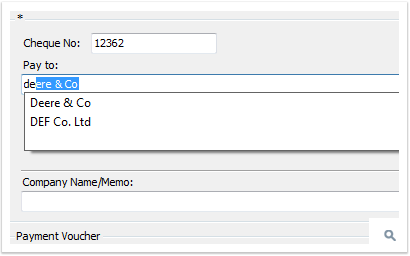 Automatic save payee's name and conversion from number to words. 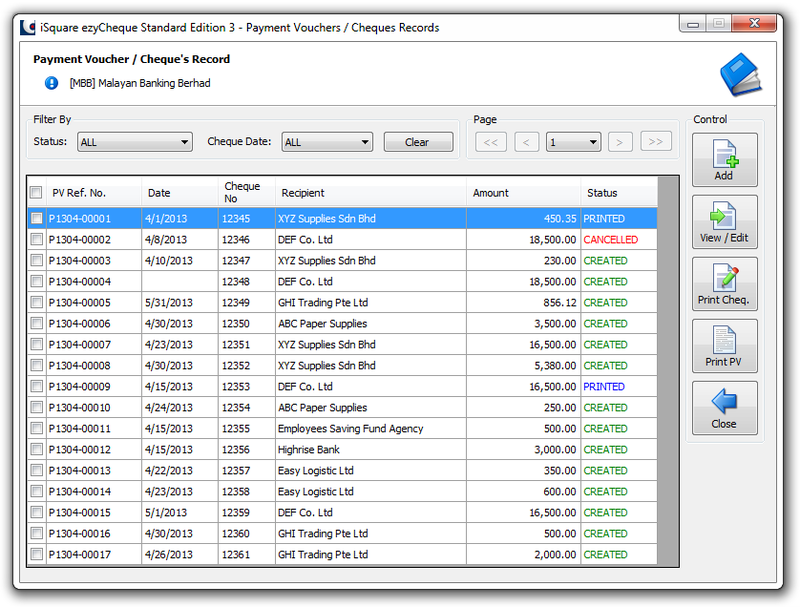 Just key in the date, payee's name, and amount and you are ready to print the cheque. 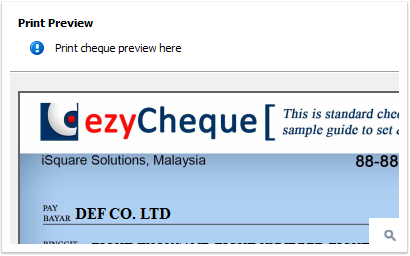 ezyCheque automatically save payee's name and convert amount to words. What's more, with the saved payee's name, you can retrieve it by typing the first few characters of the payee's name only. Eliminate payee's name and amount in words spelling mistake. ezyCheque automatic save payee's name and convert from amount to words, reducing spelling mistake in both payee's name and amount in words. 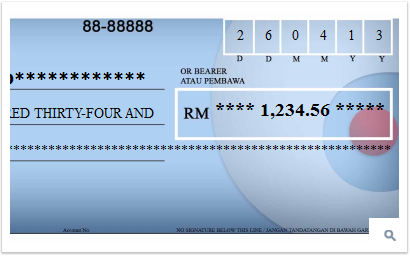 This mistake often make especially if you are writing a few cheques together with different payee's name and amount. Enhance cheque's security and reduce cheque fraud. 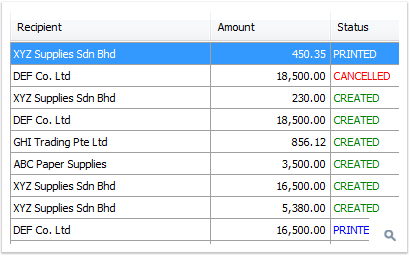 Date, payee's name, amount and amount in words can be customized into all kind of font type and size. 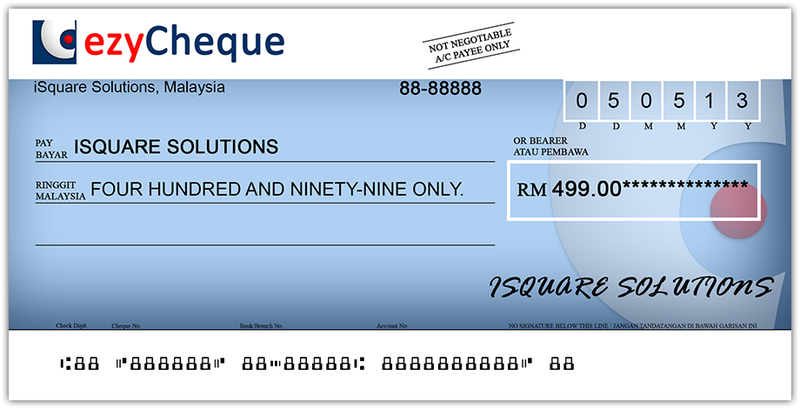 On top of this, security symbol such as "*" can be added as well to increase the difficulties in modifying issued cheques. Print payment vouchers. Automatic save payment details. 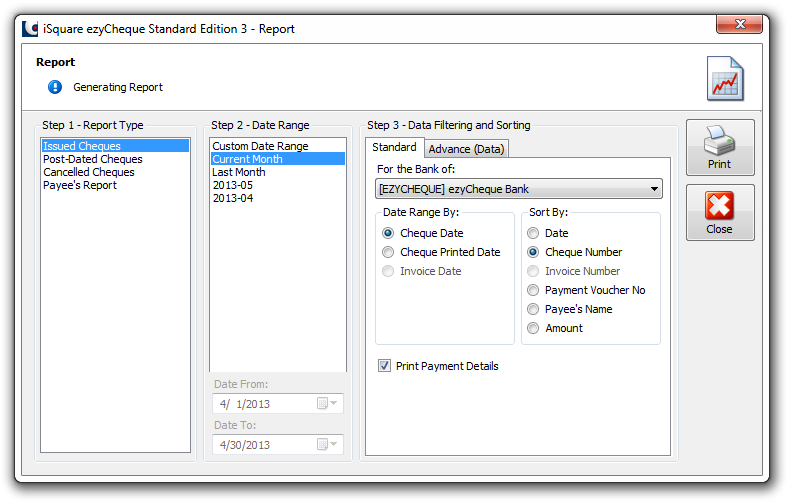 Payment details are automatically saved once cheque is printed. 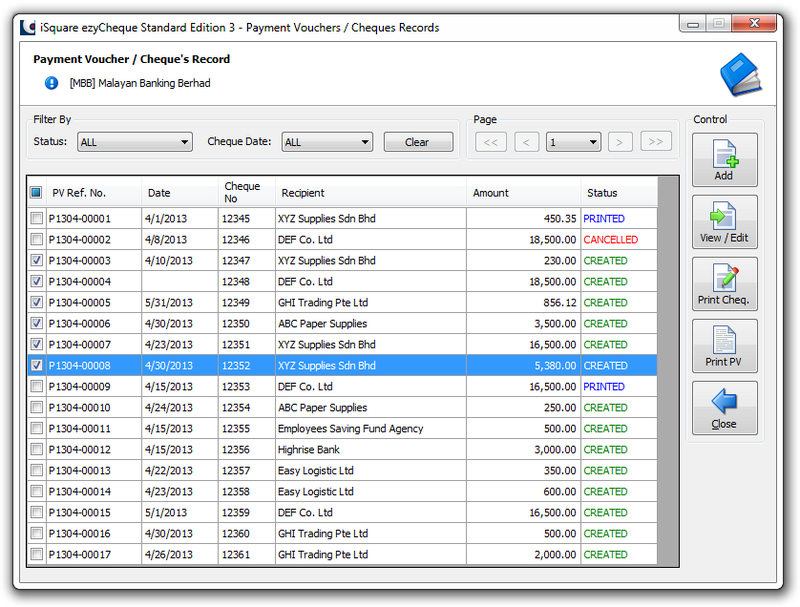 You can view, edit and print payment voucher right after you have printed the cheques. What's more is that you can print it together in bulk! 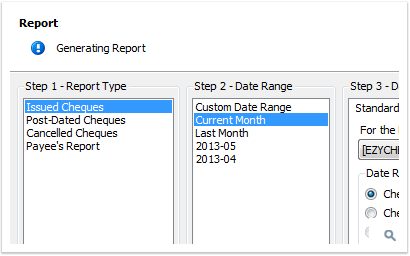 Reports are customizable in ezyCheque Standard Edition 3. 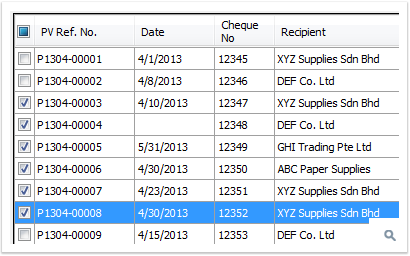 You can print issued cheques group by date, or payee's name base on your management and decision making needs. Cancelled and post-dated cheques reports are available too for better financial planning. 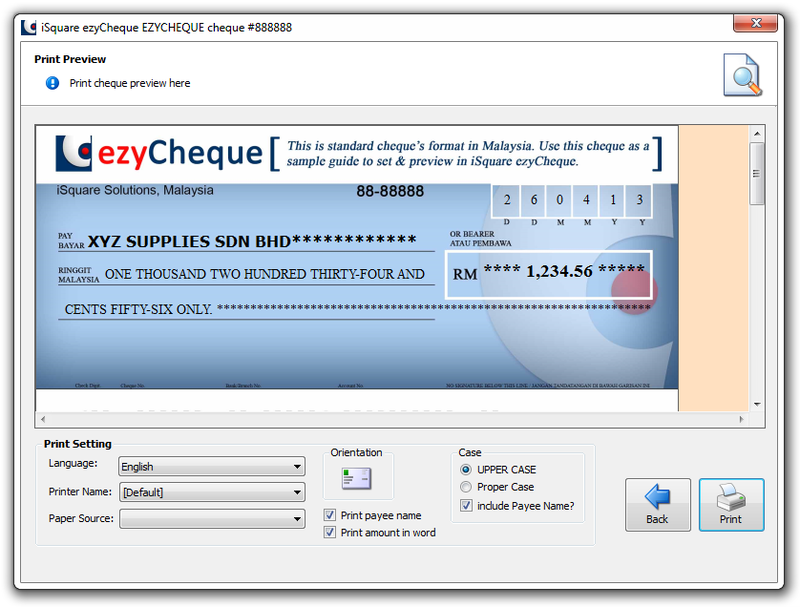 Bulk printing for cheques and payment vouchers. 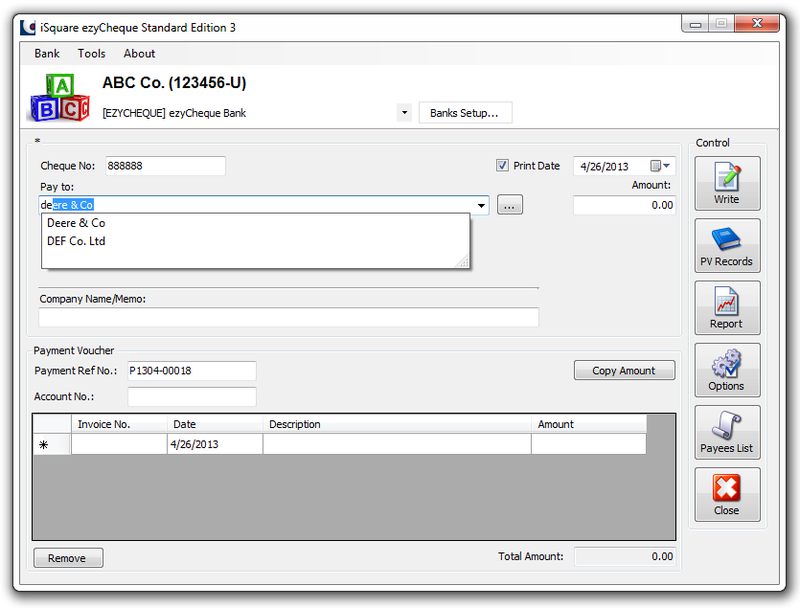 Payment details is automatically saved after a cheque is printed. You can create it as well without it being print first as well. 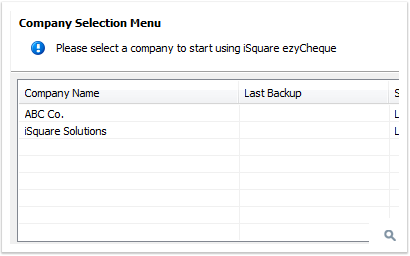 ezyCheque Standard Edition 3 support multiple companies entry for your organization. Each companies has it's own company details, bank's records, payment voucher's auto numbering, and security measurement. Security to protect your company data. ezyCheque Standard Edition 3 has high security measurement. 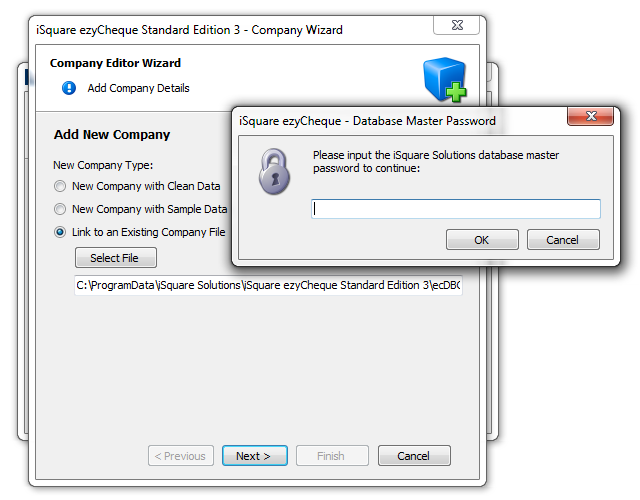 It does not only has user-login requirement, but a unique master database password requirement for every company created. 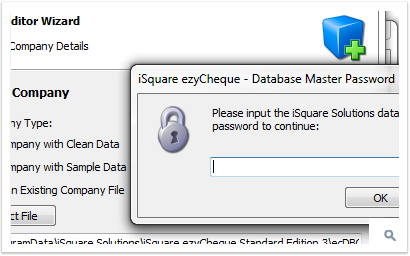 This double security measure will definitely reduce unauthorized access to company's banking confidential informations. You do not have to worry of computer breakdown anymore. 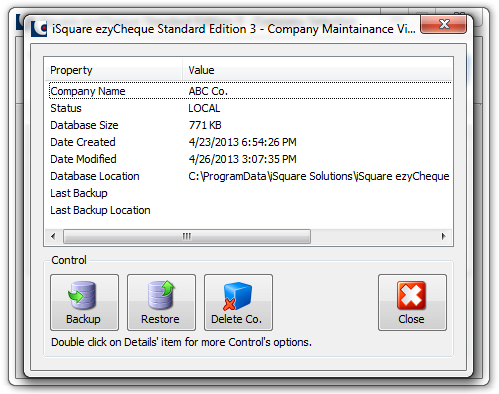 ezyCheque Standard Edition 3 allow you to backup the company data and restore it. 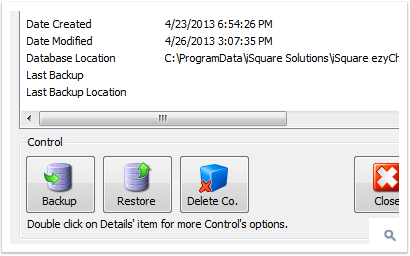 Each backup and restoration require the database master password to restrict unauthorized access.